I know, to some people, a census document isn't the most exciting treasure one could have, but this census card is special. 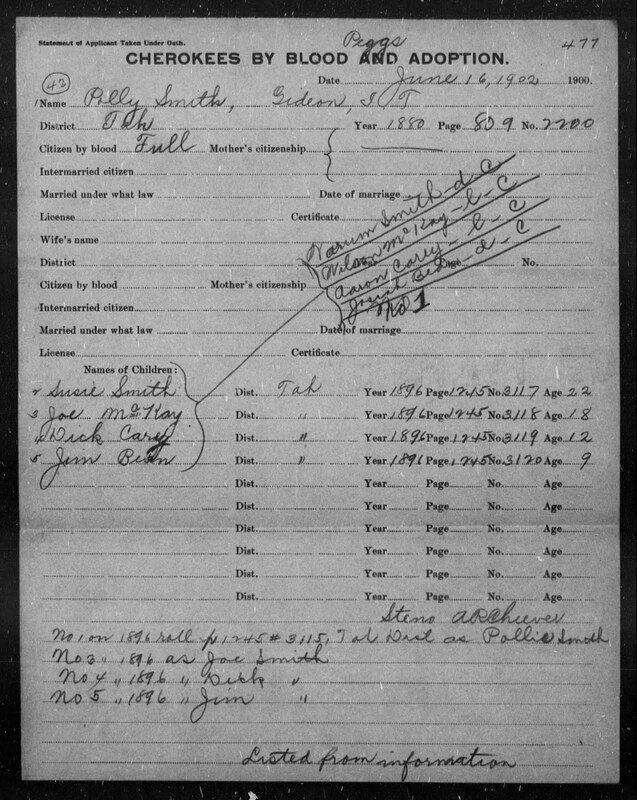 It is the census card that goes along with Grandma Polly's Dawes application and it isn't exactly like a lot of the others. Though this card is special because it lists the name of my great great grandmother and her minor children, including my great grandpa, there is still something about it that is extra special. You see, Grandma Polly opposed the Dawes Roll and refused to register. I know, I know, lots of people say that about their ancestors, right? They say their ancestors refused to sign the roll and that is why they can't prove their Cherokee blood. It is a common excuse used by people who claim to be Cherokee with no proof. And that is what brings me to say Grandma Polly's census card is special, a real treasure. Like I said above, she refused to participate in applying for the Dawes Roll. She just wasn't going to have any part of it. But, guess what. It didn't matter. Whether she cooperated or not, the Dawes Commission got the information they wanted about her and registered her and her children against her will. How did they know about her to even seek out information on her? 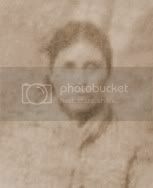 Because she was listed on the 1880 census of the Cherokee Nation and she and her children were listed on the 1896 roll. All this is noted on the census card. The Dawes Commission got information on everyone, even if they had to send out a "snitch" to get the information for them. So, back to this treasure of a census card and why it is such a treasure to me. Grandma Polly's census card shows us that it was not possible to "refuse to enroll". All those people who use this reason as why they can't prove they are Cherokee are just fooling themselves. Look at the very bottom of the card. Notice that it says, "Listed from information." That is what makes this card a treasure. That is what was written on the cards of those enrolled against their will with information obtained from snitches. And that is proof that even if one's ancestor refused to enroll, they still got put on the Dawes Roll. I know some people still won't understand why I see this as a treasure, so I want to close with this. I am very much against people claiming to be Cherokee without an iota of evidence to support it. I see it as a form of identity theft and I don't appreciate it when people try to re-write our history to make it fit the story they want to tell. 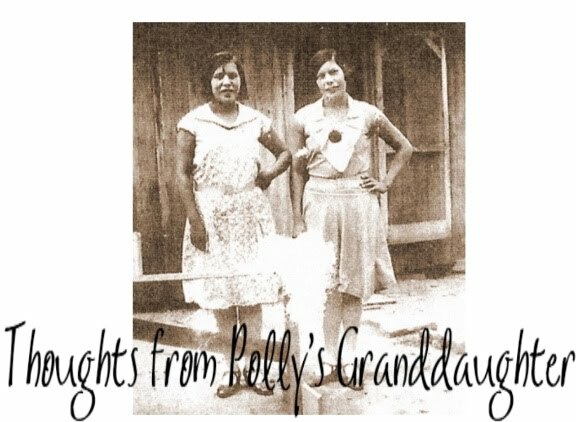 I try to teach people the truth about Cherokee history and genealogy and because of the card above, Grandma Polly is helping me do it. Even though she died long before I was ever born, the legacy she left behind is helping me do what I love to do -- educate people about our true history -- and that is something I treasure.